The idea of stepping out without a bag is virtually unheard of, so learn a few tips about combining hand bag style with function. There’s no denying that you need your purse to carry your important items, but this staple of women’s accessories should also be on-trend. Every woman has a unique style that serves as a wardrobe foundation. 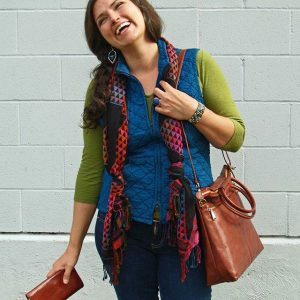 Consider individual style before making a handbag purchase to pick the best size, shape, and design in a purse that pulls the whole look together. Not every handbag will go with every outfit for every occasion. There may be times when a slouch bag is a go-to choice. Other times, a clutch or a trendy camera bag might be better options. We always encourage women to consider favorite colors and preferred size for handbags to help narrow the selection of these women’s accessories. We enjoy helping women discover their best assets and learning how to enhance them. A handbag can be a great addition to help women compliment certain features. For example, if you have a fuller figure, choose a purse that stops at your clothing waistline, because this can help accentuate your waist. Similarly, women with narrow hips can create a fuller silhouette with a longer handbag that stops at the hips. As stylish as purses are, they mainly function as a carrier for everything on the go. The type and size of handbag you need depends on what you carry in it. If you’re a lipstick-and-credit-card type of girl, then a mini cross-body or drawstring purse is ideal. If you bring everything with you every day, then a roomy tote or satchel is a better choice. We always recommend checking out the interior space of any purse, because pockets, zippers, and slides make any bag better. A bag is an extension of your style, so choose ones that pair well with other women’s accessories!